A Bay Area resident speaks with a MTC staff member at a spring 2016 Plan Bay Area open house in San Francisco. There is only one Bay Area — Join Us! Together, we can work to preserve the things we love about the San Francisco Bay Area — our region's breathtaking natural beauty, dynamic cities, towns and neighborhoods, first-rate cultural and educational institutions, our varied and hardworking transportation system and leading-edge economy. With your ongoing involvement, we can plan together to remain a strong, resilient region that can bounce back from natural disasters and economic downturns. We can roll up our sleeves now to help our communities grow in a way that leaves a generous legacy for future generations. Will you join us? Visit the websites of the Bay Area's regional planning agencies and learn about their missions and work. Follow what's happening so you can have a voice in key decisions. Consider attending a meeting and speaking your mind. Do you participate in social media? Consider following PlanBayArea on Facebook or Twitter. If you are interested in helping keep the region's skies free of air pollution, follow Spare the Air. Send us your comments at info@PlanBayArea.org. Join our mailing list to receive updates about Plan Bay Area 2040, the region's long-range transportation planning and land use blueprint, and other regional initiatives. You can receive upates through email or U.S. mail, or both. 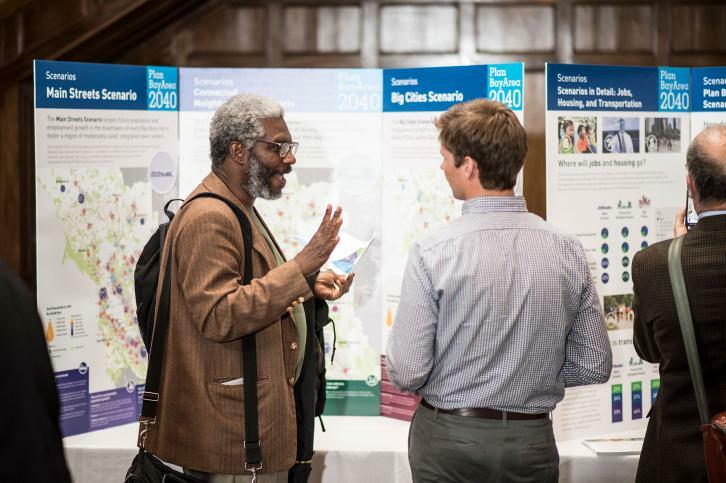 MTC's Final Public Participation Plan lays out the steps MTC will take to involve residents in decisions affecting Bay Area transportation and land use policies and investments. To request a copy in Spanish, Chinese or other languages, please call MTC’s Public Information Office, (415) 778-6757. El Plan Para la Participación del Público esta disponible en español. Los residentes interesados pueden solicitar copias llamando a la Oficina de Información al Público, al (415) 778-6757.